Please select the correct size according to the length of the foot. Our US size is not standard US size, Just according to the size of the foot. When measuring the size of the foot, it is best to wear the socks. 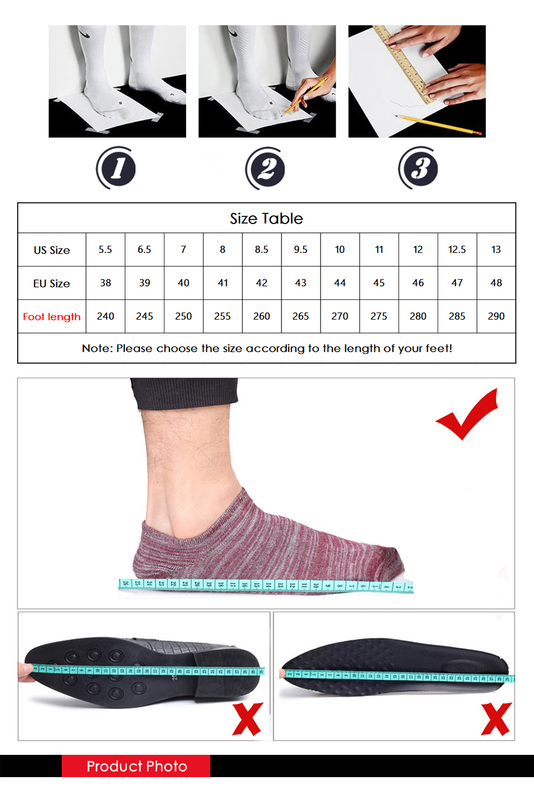 Please check our size information carefully, if you are not sure about about size, you can contact us. For example: If you foot length (Heel to Toe) is 26.5cm/265mm, You can choose size 9.5 in this model. You can see the size chart below.